Mona Nemer, biochemistry professor and recent vice-president of research at the University of Ottawa, takes the helm. Mona Nemer has been named Canada’s new chief science advisor, and today is her first day on the job. Prime Minister Justin Trudeau and Science Minister Kirsty Duncan made the announcement at a press conference on Tuesday afternoon, accompanied by Dr. Nemer and Art McDonald, a 2015 Nobel Prize winner and member of Canada’s Fundamental Science Review panel. 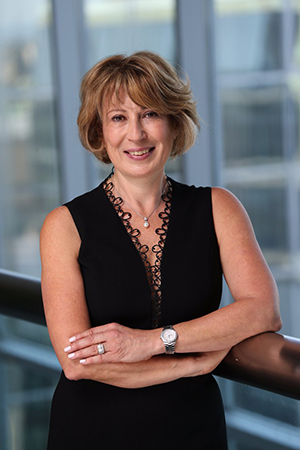 Dr. Nemer leads the Molecular Genetics and Cardiac Regeneration Laboratory at the University of Ottawa where she is a full professor in the faculty of medicine and served for 11 years as vice-president, research (up until June 30). “I’m taking this job to make a difference, and I intend to do so,” Dr. Nemer told the press. Photo courtesy Minister of Science / Twitter. Dr. Nemer is no stranger to academic science. Prior to joining the University of Ottawa, she was a pharmacology professor at Université de Montréal and director of the Cardiac Development Research Unit at the Institut de recherches cliniques de Montréal. She has held a Tier 1 Canada Research Chair in Cardiovascular Cell Differentiation and her research focus is on heart failure and congenital heart disease. Others in the scientific community have also lauded the appointment of Dr. Nemer, whose achievements at U of Ottawa include the Advanced Research Complex, interdisciplinary research institutes, the creation of an undergraduate research opportunities program, and the relaunch of University of Ottawa Press. The main function of Dr. Nemer’s new role will be to advise the federal government on scientific issues, so that scientists are not muzzled and that scientific analyses are used in decision making. She will also undertake “promoting a positive and productive dialogue between federal scientists and academia” and assessing how the government can “better support quality scientific research within the federal system,” according to a government release. The chief science advisor’s office has a budget of $2 million and she currently has three staff members (administrative, communications and policy) to help her transition into the role. Dr. Nemer will determine what her staff consists of and her office will be housed in Ottawa at Innovation, Science and Economic Development Canada (ISED). For me who’s been Dr. Nemer’s follower in cardiovascular research, i feel indebted to congratulate this rare and distinguished scientist and researcher and indeed now that she’s been appointed in this strategic position which is pivotal to the progression of scientific research in Canada and world over,the sky will be the limit as far as the the much anticipated potential economic and social benefits of the research outcomes are concerned.